Auberg'In is the small place where you want to take refuge after a hectic day, for a tête-à-tête as a sweetheart or with friends. , As soon as the door is pushed, the fork is already projected into the air and the glass is accompanied. 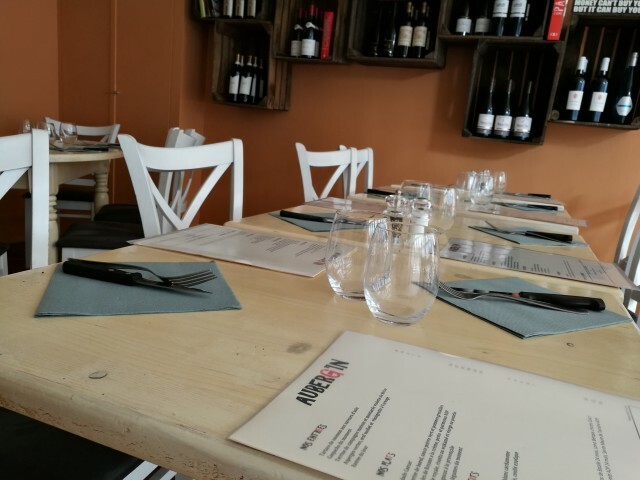 Located in Clichy (92), this neighborhood wine bar & bistro offers well-tied plates with a very good value for money. You will be greeted by the smile and the easy joke of Thomas and you will succumb to the culinary charms of Brice! Looking forward to serving you and making you spend an unforgettable moment, at least all this!